23 Mar2019 Saint Finbar Fiesta! 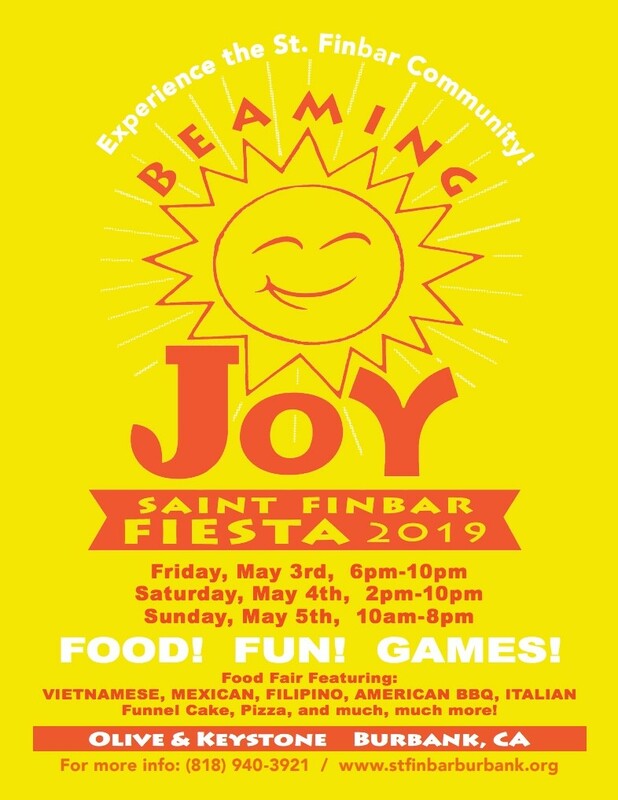 All are invited to our annual Saint Finbar Fiesta beginning on May 3rd. This three day affair will have games and a food fair featuring: Vietnamese, Mexican, Filipino, American BBQ, Italian, Funnel Cake, Pizza, and much more. For more information, please contact our parish office at (818) 940-3921.